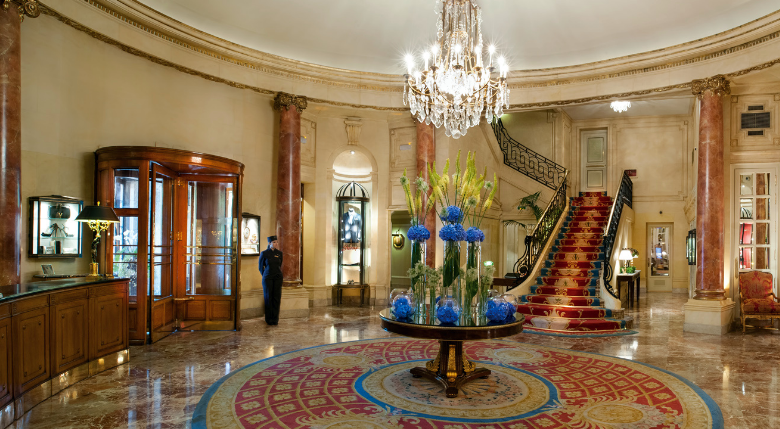 The Ritz Hotel in Paris is getting a bad reputation for the safekeeping of your jewelry after another robbery. This time a Saudi princess reported that jewelry belonging to the Saudi Royal family worth an estimated €800,000 ($930,000) went missing from her suite at the luxury Place Vendome Hotel in Paris. The unnamed princess said the theft happened on Friday afternoon. Paris Police admitted yesterday they were investigating the alleged robbery. Unfortunately for the historic Parisian venue, it was already the second heist this year reported from the said luxury five-star hotel which is located on Place Vendome. Already in January, an armed gang used axes to smash the windows of shops on the ground floor of the Paris Ritz and made off with several million euros worth of jewelry. In what was clearly an amateurishly planned out heist, three suspects were arrested as they fled the scene. All of the stolen goods, some of which were dropped by the thieves as they tried to escape, were recovered. It is, however, starting to give Paris a bad reputation when it comes to high-profile jewelry robberies and heists. Back in October 2016, American socialite and social media star Kim Kardashian West was robbed at gunpoint. At the time, an armed gang burst into her Paris apartment, tied her up and locked her into her bathroom. They made off with around $9.5 million (€8.2 million) worth of jewelry. What do you think? Is Paris still safe? Be sure to let us know what you think of the Paris theft hereunder in the comments section.